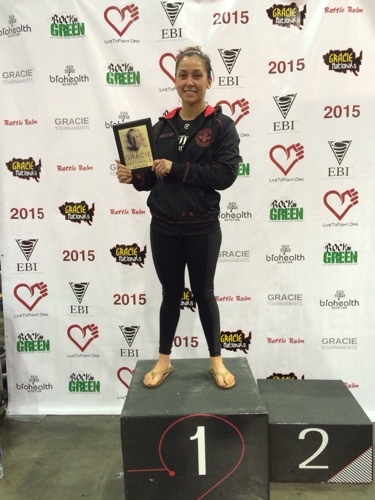 After a 10 year hiatus of competing in Brazilian Jiu Jitsu, Erica Gutierrez returned to competition this past weekend. While most matches last 15 minutes or less, Erica fought for over 90 minutes! Her resolve to not tap out and remain patient for an opportunity to seize her opponent paid off and after in an instant, she won. She earned 1st place in the Grace Nationals.